As the world’s leading provider of intelligent kitchen systems, Franke makes premier products that our customers love. One of those products is the Franke HT-200 Little Butler hot water dispenser, designed to deliver clean, filtered water that is so hot you could cook pasta in it. To keep your favorite little heater in good shape, you may need to perform some routine maintenance. When it’s time for that, you can find all of the Franke Little Butler repair parts right here at ChicagoFaucetShoppe.com. Our collection of Franke hot water dispenser parts includes everything you might need to get your Little Butler running like it is brand new. 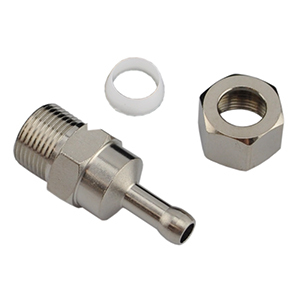 We carry new hot valves, seats, PCAID fittings and tubes to fix whatever problem you may run into without breaking your budget. Chicago Faucet Shoppe is proud to offer all of our Franke Little Butler replacement parts at low prices that our customers love. If you have a Little Butler that just doesn’t seem to run like it used to, fix the problem today. Whether it’s a valve or a tube, Chicago Faucet Shoppe has the Franke instant hot water dispenser part that you need to fully enjoy the benefits of the Franke Little Butler.